Now that the holidays are definitely over (which, bless), let’s talk about the important things: our faces. It’s cold and dry outside, which means our skin is desertly and lifeless, UGH. And no matter how many goos and sheet masks you drench your face in, the skin around your nose remains flaky, your cheeks are tight and colorless, and by the time you look in the mirror at work you’ve noticed your chin is crackly from the foundation you used. Dry skin is the ULTIMATE betrayal, and you are RIGHT to feel cranky about it. I mean, the last thing we all need right now is dehydrated skin — we have enough on our plates this month. We’re too busy breaking our New Year’s resolutions, emotionally prepping for Inauguration Day, and planning a bash for our beloved galentines. 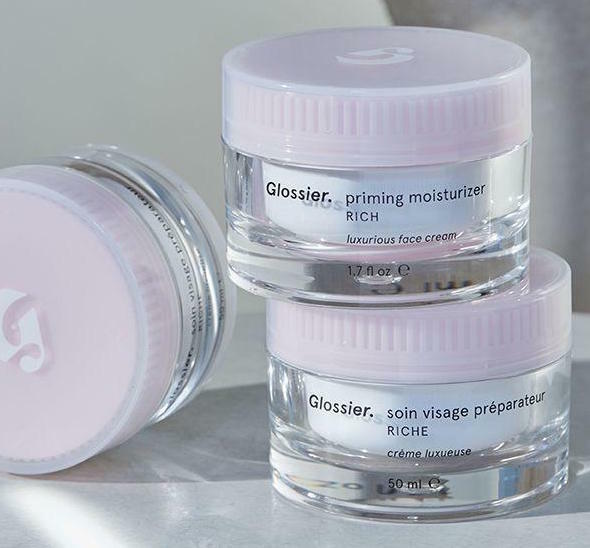 No one has time for bad skin — which is why Glossier has come to the rescue with their latest product: Priming Moisturizer Rich. It primes, it’s creamy, it’s just what the dermatologist ordered (or should be, at least). Ugh, just look at those tubs, that Silver Lake cool girl aesthetic. We are NOT WORTHY. JK, we are. We deserve rich, creamy moisturizer for our face before we apply foundation, and we deserve smooth, crackle-free skin. The moment you dip your fingers into the créme luxuese (do you not feel instantly French reading that? ), you want to slather it all over your body. It feels like whipped butter, smells fresh, and quenches your skin in seconds (results are best after you use a toner — Mario Badescu’s Aloe Vera toner is aces). My skin, which is prone to breakouts whenever I try something new (it hates changes), remained blemish-free (and SO SOFT). Best of all, it’s only $35, which is a refreshing price tag compared to other luxe brands. 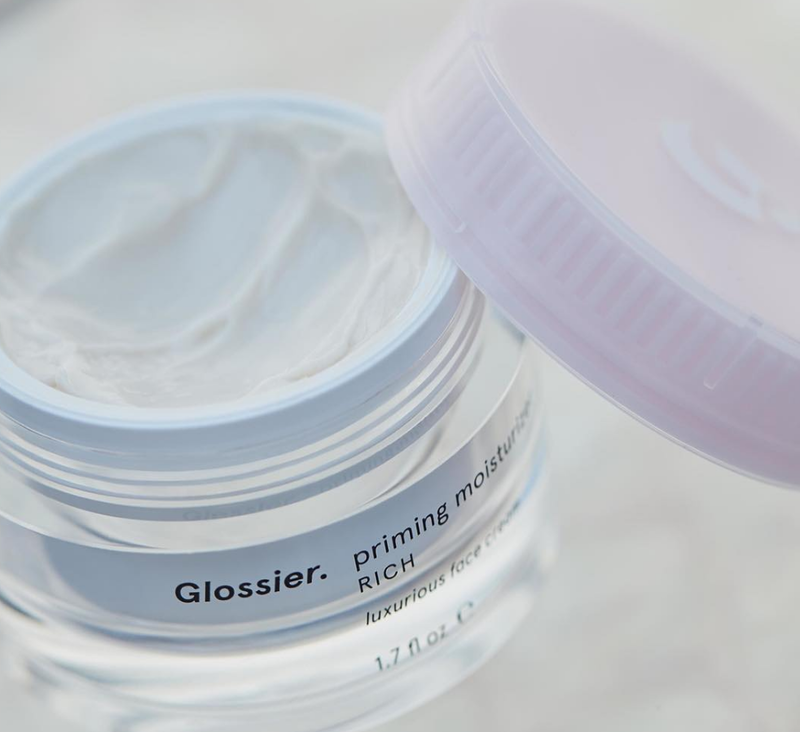 Buy Priming Moisturizer Rich from Glossier right here. The author received this product free of charge, courtesy of Glossier.